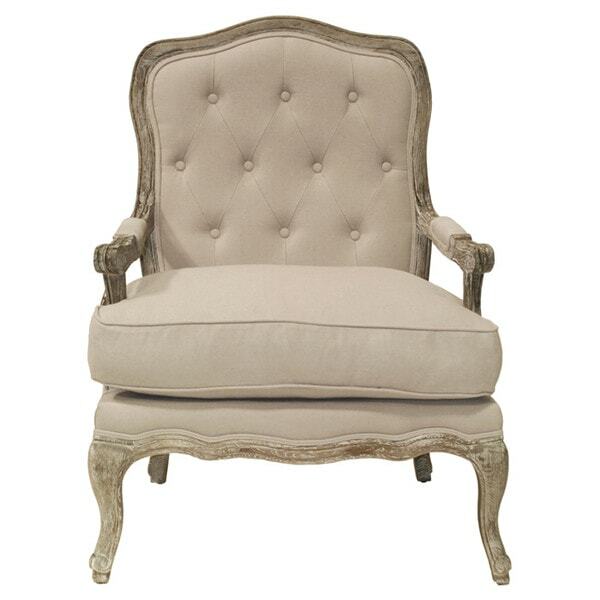 There’s nothing that says French Country quite like a Louis XVI armchair. 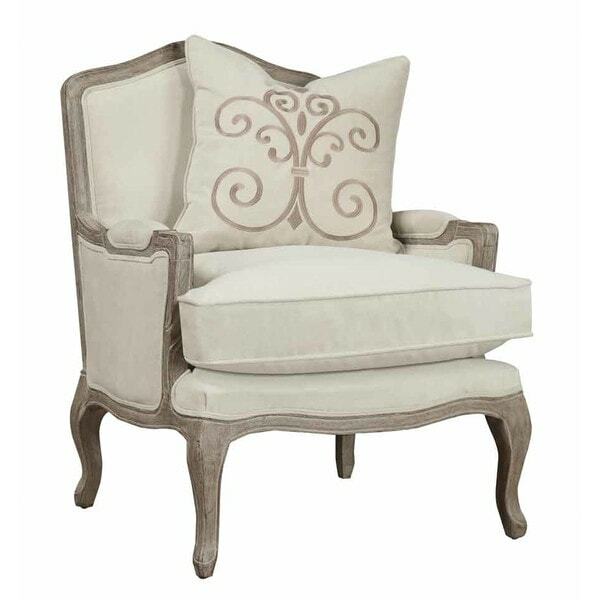 These beautiful accent chairs can cost a fortune, but boy do they make a statement in a room! 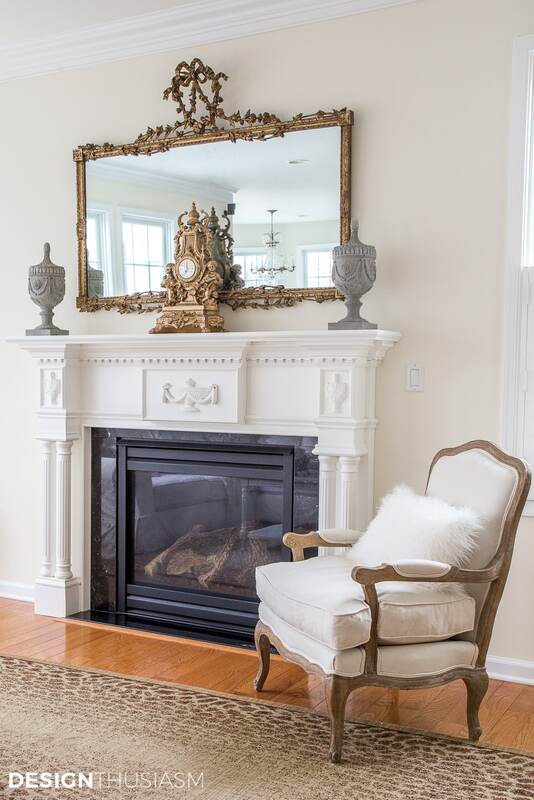 While I love antiques, sometimes you can make the same impact with reproductions, especially if you mix them with genuine vintage accessories in your room. 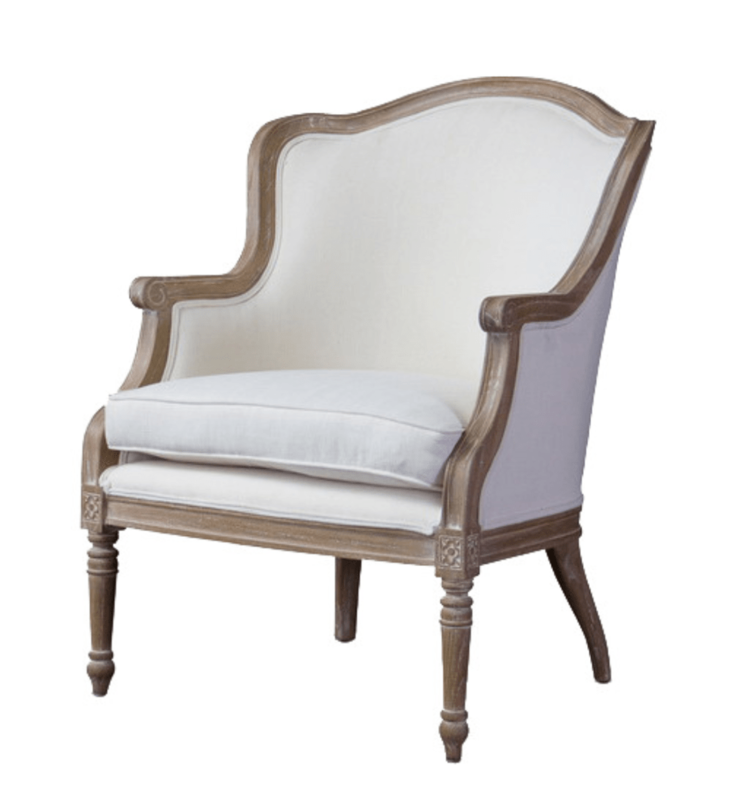 Fortunately, there are some great budget choices available that are influenced by this style, so today let’s look at 10 affordable French chairs that can add lovely French flair to your home. Now, since everything is relative, I recognize that one person’s budget chair is another person’s wish list chair. 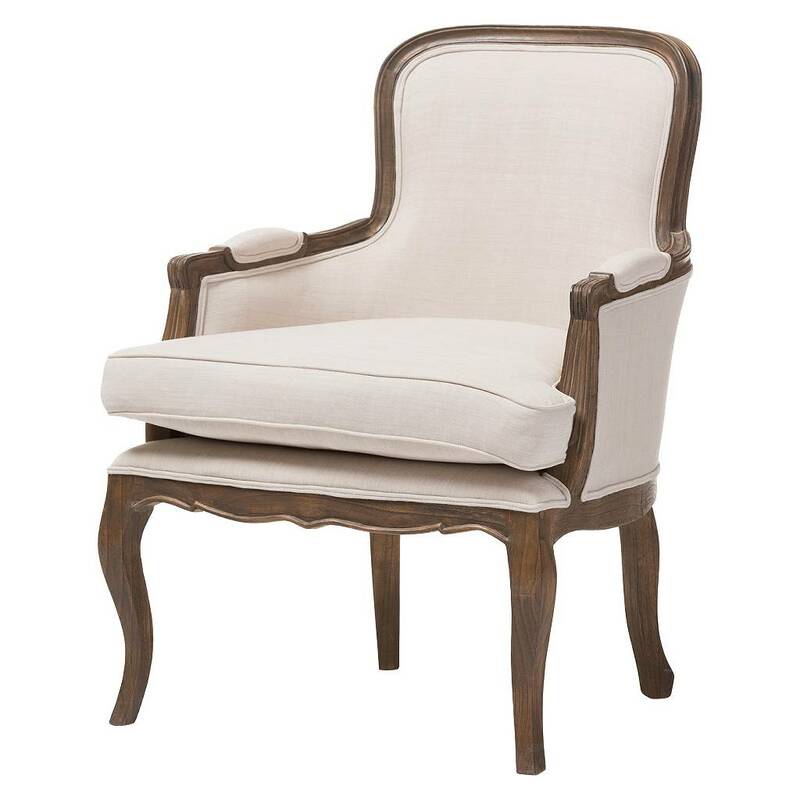 For our purposes here, I’m defining an affordable accent chair as under $500 (with many closer to $300). 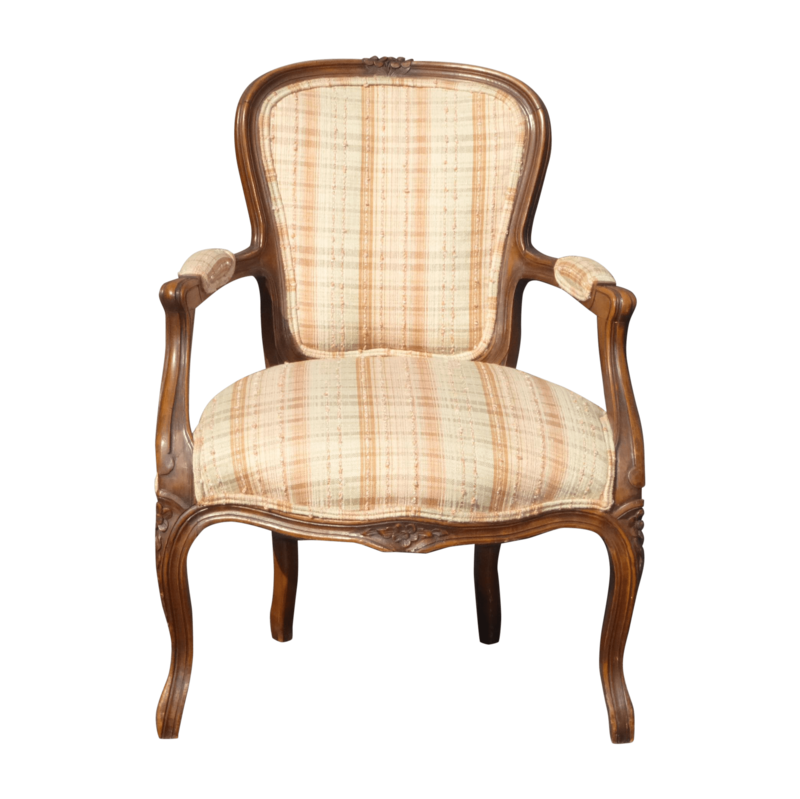 Given that many similar upholstered chairs, including reproductions, can easily cost up to $2000, that sure seems like a bargain to me! Happy shopping!! 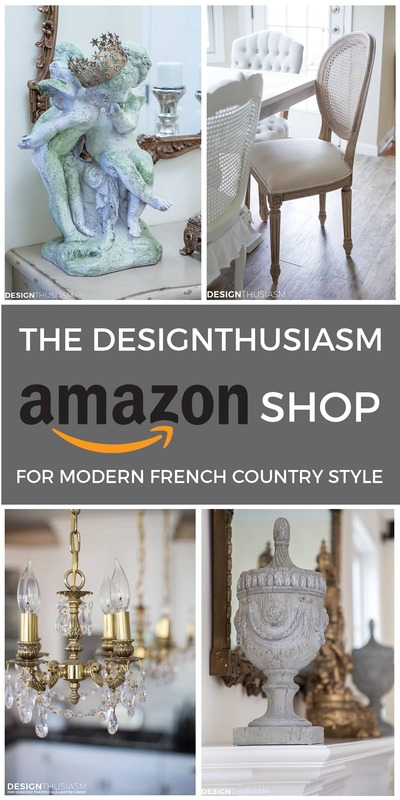 French Chair Source List – Please note that stores are constantly changing their stock, so I try to update this post frequently. If you find several items are no longer available, feel free to alert me as I can usually track them down elsewhere. You can also scroll down to the bottom for even more choices! Where actual items from above were no longer available, I’ve provided similar options. 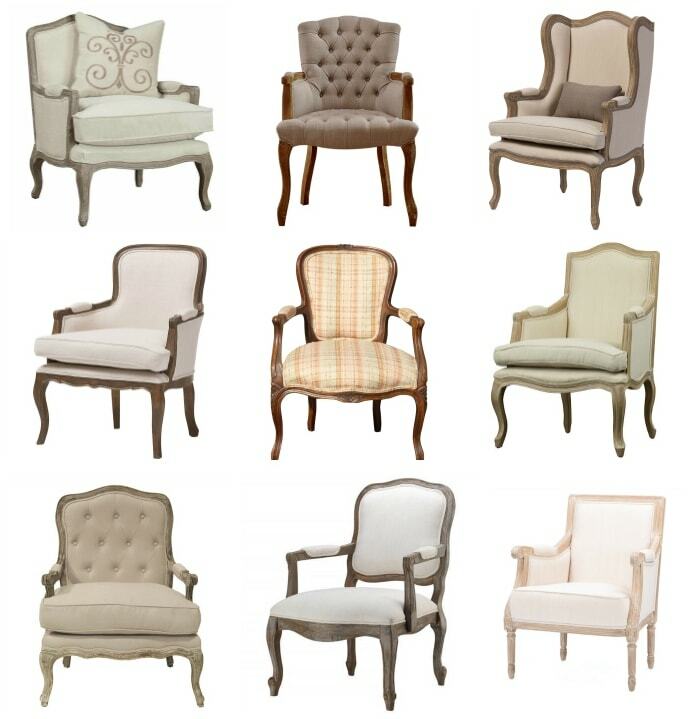 These are all such beautiful chairs, Lory! I have a couple in storage that I need to have reupholstered. You’ve inspired me to get them done! Thanks so much for sharing, Lory. 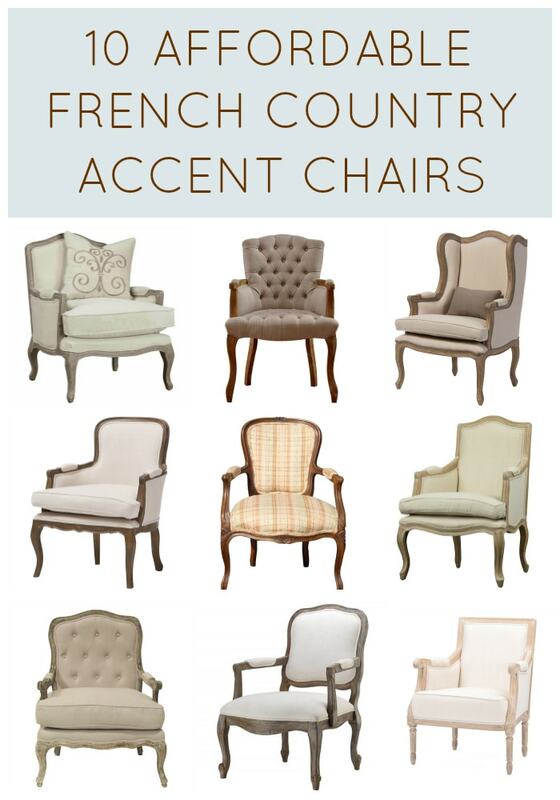 I do love a beautiful French chair, and these are fantastic prices!!! 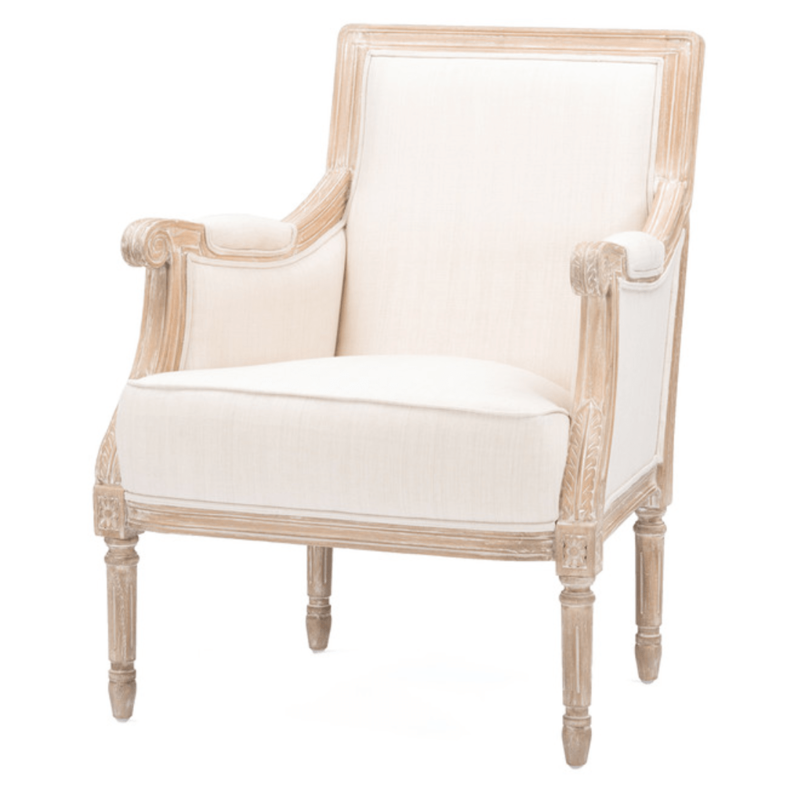 WE HAVE FOUR (TWO DIFFERENT STYLES) FRENCH CHAIRS, SO I KNOW WHAT YOU MEAN ABOUT THE PRICES, BUT THEY ARE SO PRETTY AND AIRY LOOKING. THE TWO IN OUR FAMILY ROOM LOOK VERY MUCH LIKE YOUR TWO IN YOUR LIVING ROOM AND THE TWO IN OUR MASTER BEDROOM ARE FAUTEUILS WITH CANE BACKS. I LOVE THEM ALL, AND THEY MIX NICELY WITH OUR ENGLISH PIECES. 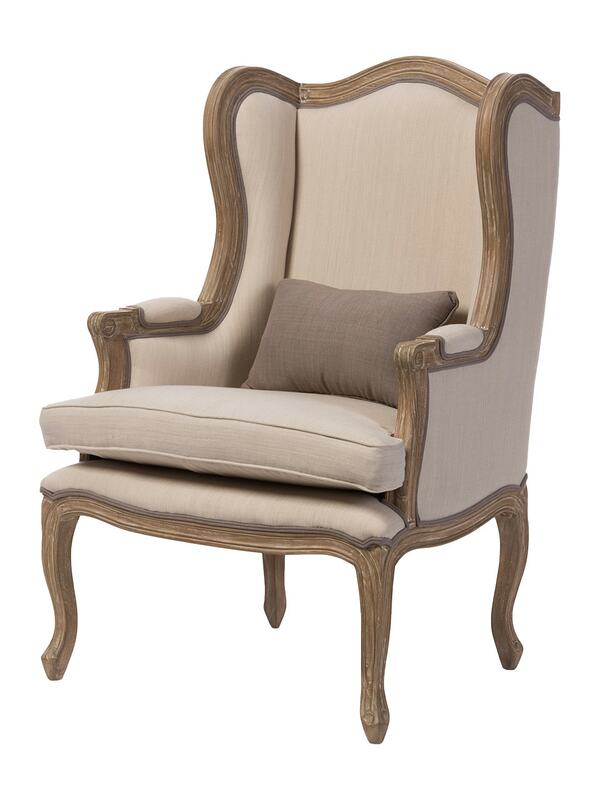 THANKS FOR SHARING…ALWAYS ENJOY SEEING A FRENCH CHAIR! HUGS! 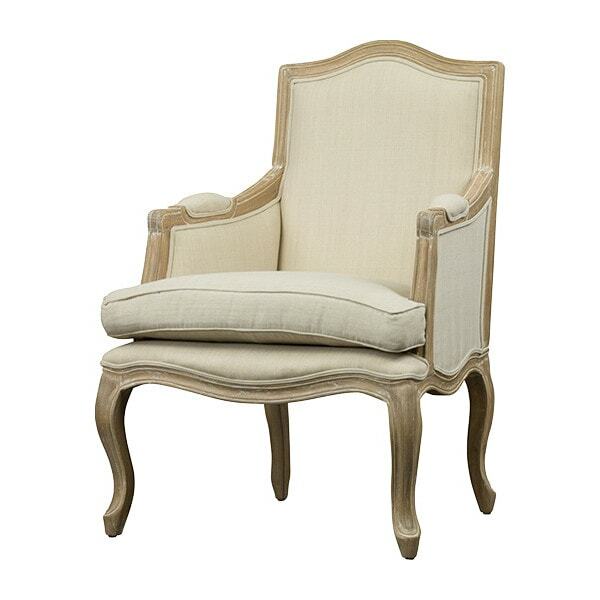 With all due respect, the only Louis XVI chair is the one with straight legs. All of the others are Louis XV. There are substantial differences in the style. Hope this helps. 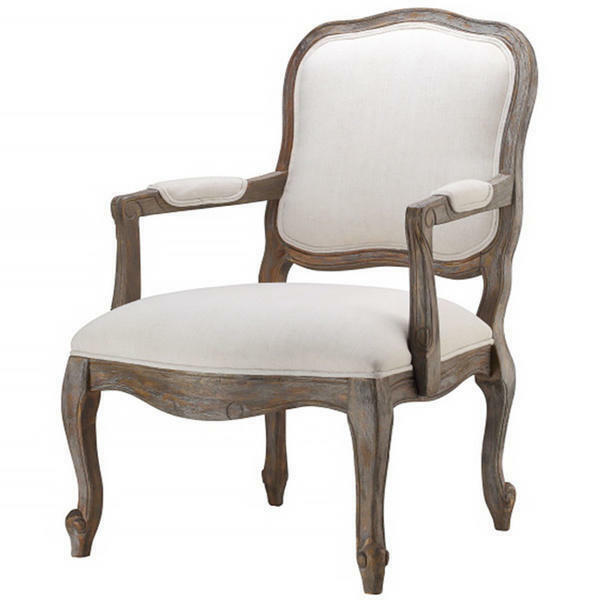 Thank you, but the post doesn’t say these are Louis XVI chairs. It says “there are some great budget choices available that are *influenced* by this style”. 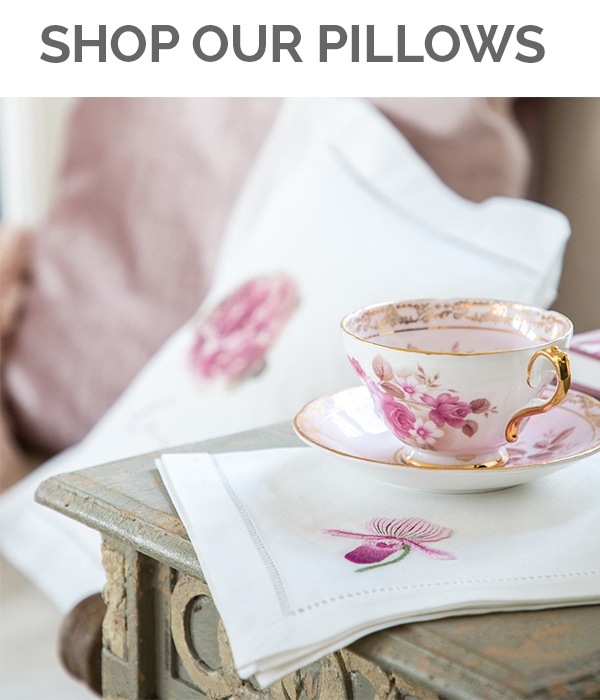 So many pretty options and all within a reasonable budget! Thanks for the sources! All beautiful, and I am considering one of them for my living room alcove to go with a desk. I noticed the seat height varies from 17.5″ to 20.5″. 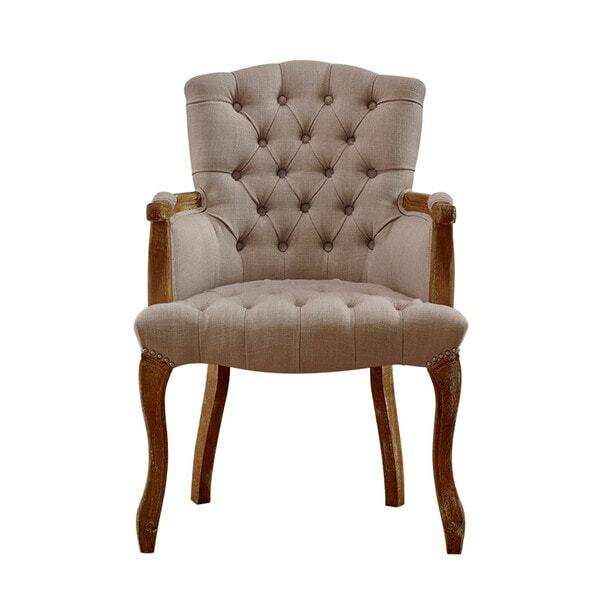 What is the correct seat height for a desk chair? All the desks I’ve looked at are a standard 30″ in height. The chair I like has a seat height of 17.5″. Will that work? Thanks for stopping by, Annie! I think desk chairs are best at about 17 1/2″ – 18″, but it definitely depends on a person’s comfort (which is why many desk chairs are adjustable). I have one chair at a desk that’s 19″ seat height and I think it’s a little too high. Also, most of these chairs are arm chairs, so they’re really more living room accent chairs than desk chairs, but for a seldom used desk, it could be a nice look. Please let me know where and how can i purchase one. Where the link/ website for these chairs? I am looking to buy a pair of them? I just updated the links. If there’s one in particular you can’t find, please let me know which one. Would Overstock be perhaps another? This is a bit off topic, but Pottery Barn had some awesome sales recently especially on their birch candles with timers. We love ours! They are pricey even on sale, but so worth it to see them come on at night! It is good to keep an eye out or sign up a few places to give to best chance at purchase!